The Foreign Corrupt Practices Act, or FCPA may sound like something that only applies to multinationals....but don't be deceived. Global efforts to crush corruption are catching many SMBs up in the action. Companies that sell, and even those that buy globally have exposure. Not only are you responsible for your own actions, and those of your employees, but even third parties like distributors and agents can create FCPA risk & exposure for you - through their actions....even without your knowledge! The problem is that most discussion of the FCPA is theoretical and legalese. 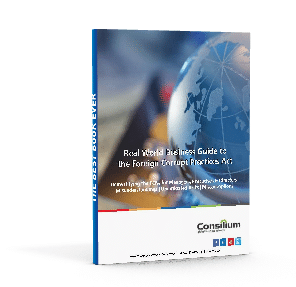 There hasn't been a straightforward guide for owners and executives of regular SMBs....until now. Ed Marsh teamed up with Richard Bistrong for a no holes barred interview that follows Richard down the slippery slope to federal prison, and climbs back up with him to his current position as an expert on SMB corruption risk and FCPA compliance. Highlights common areas of unrecognized risk - including your personal criminal liability! The exposure is real - shouldn't you know about it and be informed so you can take simple, prudent steps to mitigate your risk? Download the guide today for a straightforward, practical business guide - written by Ed Marsh who's done business in countries like India and Nigeria which are generally recognized as tough markets to do clean business. Learn from Richard's mistakes and leverage the wisdom that he shares in this guide.